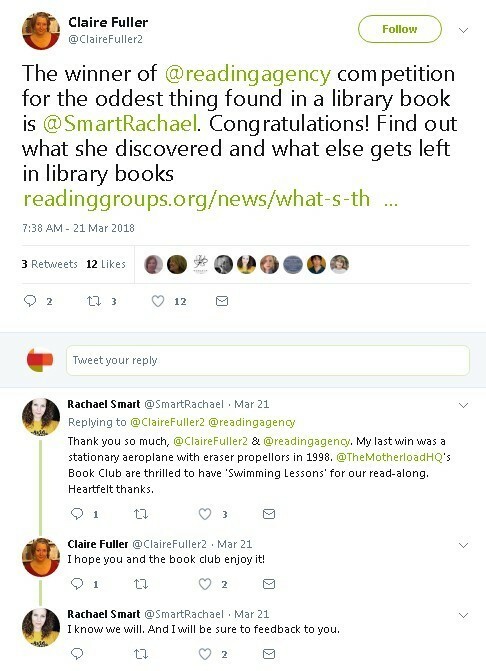 The Reading Groups for Everyone Noticeboard is brimming with offers for reading groups, and publishers are increasingly looking for groups who will share and feedback on social media platforms such as Twitter and Instagram. If you or your group aren’t familiar with these programmes, this can seem daunting, so we’ve put together a simple social media guide that will enable you to take part and stay up to date. Readings groups have the opportunity to shadow the shortlisted books for both the Man Booker Prize and the Man Booker International Prize. Haggerston Reads shadowed The World Goes On by László Krasznahorkai, one of the six shortlisted books for the Man Booker International Prize 2018. They posted reviews on Reading Groups for Everyone and posted regular updates on Twitter, both from the group’s account, and from individual members. They could also engage with the Man Booker Prize posts, as well as the groups shadowing the other books from the shortlist. 2. Throw your own French soirée! Bloomsbury offered 10 party packs to give away to celebrate the paperback publication of Not Quite Nice by Celia Imrie. The packs contained bunting, a tablecloths, copies of the book and even a bottle of wine! In return, groups were asked to share pictures of their parties on Twitter. Bloomsbury the judged the photos and the group with the best also won copies of Celia Imrie’s next book. When you post about a book online and tag the author, they might respond! This gives you the opportunity to engage directly with them and you can ask the questions you’re desperate to ask. What’s better than being able to talk to your favourite author? Although all our offers are on the Noticeboard and in our newsletter, the best way to stay up to date with offers is on social media. You’ll be the first to hear about them, and can easily stay updated with the authors and publishers you love. You’ll find out all sorts of interesting things, and no doubt your ‘to read’ list will quickly grow. What are you waiting for? To get started on social media, take a look at our helpful guide to walk you through the signup process. We look forward to seeing you online soon! 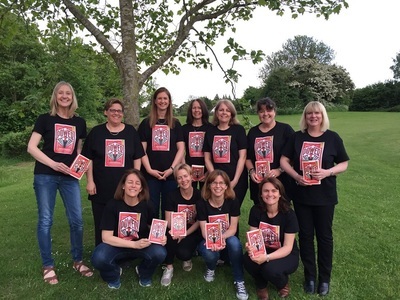 If you want to take part in reading group opportunities you’ll need to start by joining Reading Groups for Everyone. You can also sign up for our free newsletter. Ready to get social? Join in the conversation on Twitter, Facebook and Instagram.